Subcision is a simple and safe office surgery procedure for treatment of depressed acne scars. It can easily be combined with other treatments such as laser, dermaroller and scar revisions for maximum efficacy. 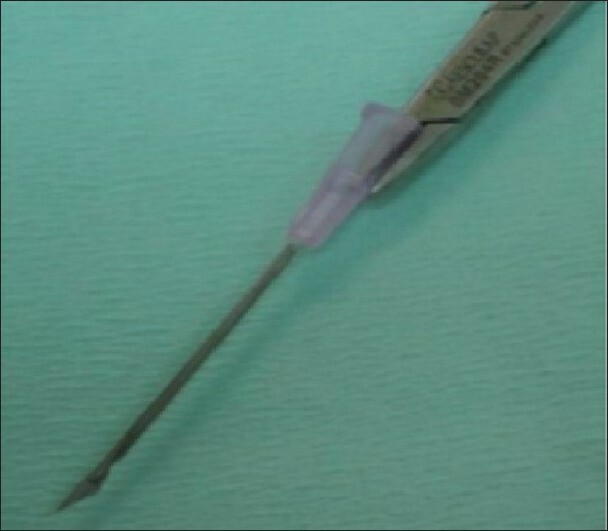 Individual scars should be treated using separate multiple puncture sites. Care should be taken to avoid the preauricular, temporal and mandibular areas in order to avoid injuries to the facial nerve and major vessels. When multiple scars are undermined, the most dependent area is done first. Repeated sittings are required for better cosmetic results. Repeat sessions are done after 3-weeks interval. If many scars need subcision, few scars may be treated at a time, like on one cheek to avoid severe oedema. Subcision is a safe, simple technique that provides significant long-term improvement in the "rolling scars" of selected patients. It can be safely and easily combined with other treatments for acne scars. 2. Alam M, Omura N, Kaminer MS Subcision for acne scarring: technique and outcomes in 40 patients. Dermatol Surg 2005;31:310-7. 3. Savanth SS. Is it only one author? Pitted facial scar revision. Textbook of dermatologic surgery and cosmetology. 2 nd ed. Mumbai: ASCAD; 2005. p. 208-16. 5. Khunger N. Standard guidelines of care for acne surgery. Indian J Dermatol Venereol Leprol 2008;74:S28-36. 6. Al Ghamdi KM. A better way to hold a nokor needle during subcision. Dermatol Surg 2008;34:378-9.